In this Peruvian salad, thick slices of potato are blanketed in a delicious spicy cheese sauce and teamed with hard-boiled eggs and olives. It all plays very nicely together, and unlike the Peruvian team it is in with a chance in our World Cup 2018 cook-off. I love this classic Moroccan salad. Sweet orange slices and salty olives are a winning combination in my book. Sacristains are made by spreading a sheet of pastry with something tasty, slicing it into strips, then twisting each strip before baking. I usually make them when I have puff pastry to use up. 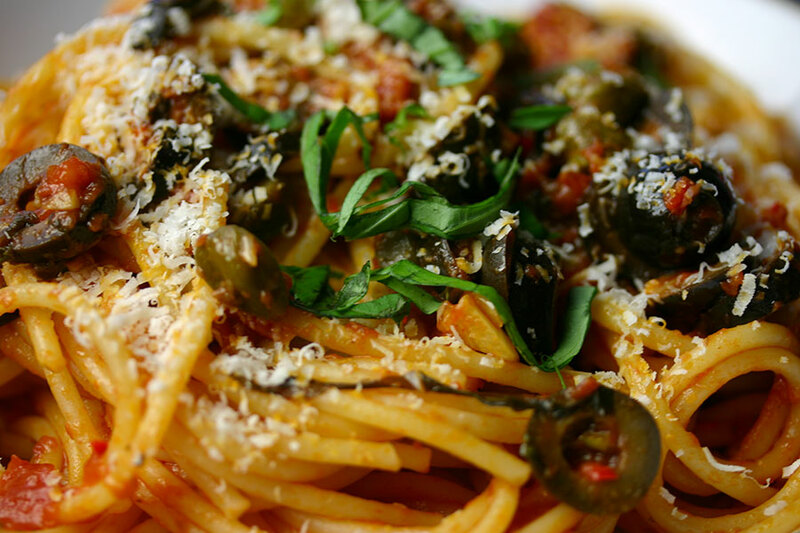 Sugo alla puttanesca – or “whore’s sauce” – is a savoury, spicy, lip-smacking combination of tomatoes, chilli, capers, anchovies and olives. Usually served with spaghetti, I’d choose it over a bolognese sauce any day of the week. The Neapolitan version of puttanesca doesn’t include anchovies, so I’ve listed them as optional. I love the depth of saltiness they bring to the dish (and once they’ve cooked down, the girls are blissfully unaware they’re in there) so I usually sneak some in. 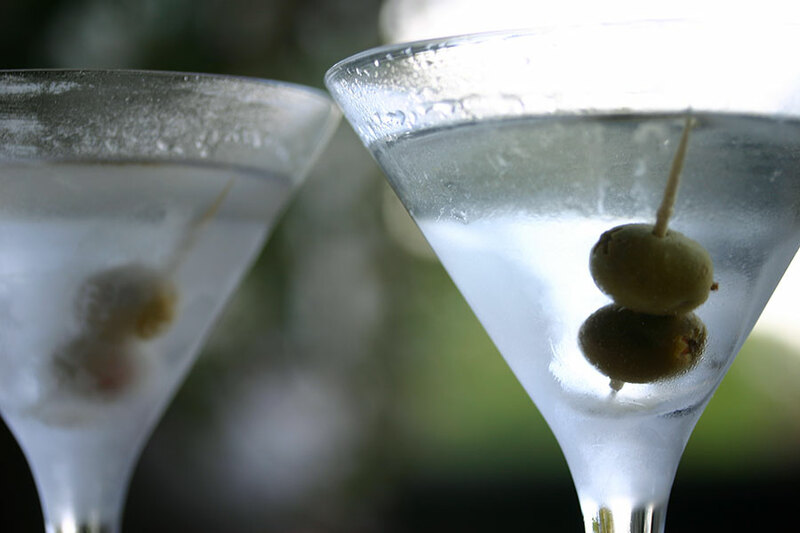 There are a lot of strong opinions about what makes a great martini. Personally, I’m pretty flexible. I’ve enjoyed them with gin and vodka – dry, wet or dirty. I’m happy with olives, lemon peel or a cocktail onion (though actually I think that’s a Gibson). Done well, nachos are a wonderful thing. And when it’s so easy to do them well, it’s frustrating how often they are a disappointment. Chips: Use the right sort of tortilla chips – plain, triangular, no fancy flavourings or shapes. Layering. 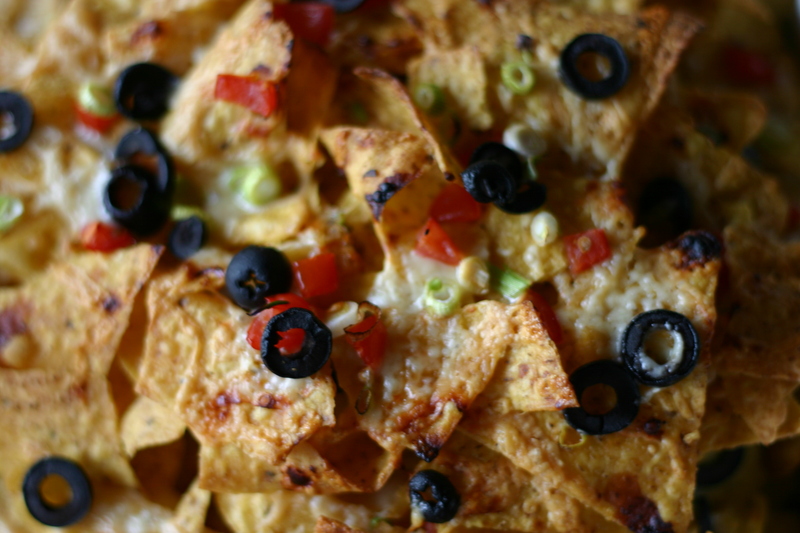 Build your stack of nachos in layers, scattering toppings each time you add more chips. You want melted cheese throughout the heap fusing the chips together, not sulking in unappetizing puddles. And don’t overdress the top – this just steams the chips. Toppings: Grated cheese, sliced black olives, sliced green onions, finely chopped tomato, or pickled jalapenos – all good. Meat products not so much, and coriander leaves just burn, so save them for the salsa. Anything else is a no-go around here. Temperature: Don’t cook nachos at too high a temperature, or the top will burn before all the chips have a chance to crisp up. 375°F is about right. I’ve also used the gas barbeque, well heated then dropped to medium-low. Three or four minutes with the lid down resulted in perfect nachos.